Aretas Sensor Networks provides flexible continuous monitoring, reporting and alerting solutions for everything from gases, to voltage, to pressure or even radiation. We work with you to build custom solutions for your needs, whether that be risk mitigation, legal compliance, efficiency, research, or identifying industrial system issues. 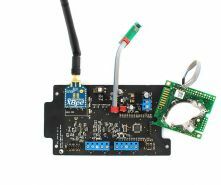 Included in this package is everything you need to start monitoring CO2, Temperature and Relative Humidity online. All you need to do is power up the modules and connect the bridge to a network. The bridge module will come pre-configured to display data locally over it's built-in web interface. If you have an Aretas Online account, the bridge can be configured to relay data to the online API to gain access to all the extra features available online such as; Alerts, Thresholds, Strategies, Building View, Metric Density Maps and more.